The Epic Games store has only been around for about four months, but it's already established itself as a significant player in the PC gaming space. But with a relatively small number of titles on the tightly curated store and a penchant for high-profile exclusives, is the store working for smaller developers? 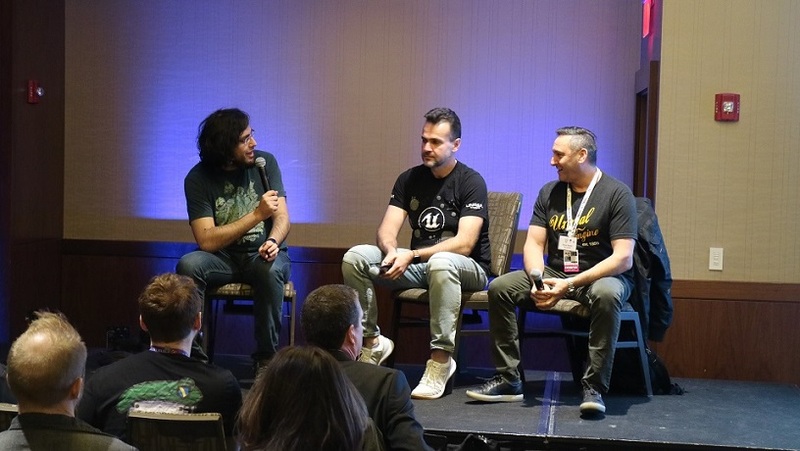 In an appearance at the GamesIndustry.biz PAX East Investment Summit today, Epic's David Stelzer and Sergey Galyonkin fielded questions from Vlambeer co-founder Rami Ismail. While Stelzer and Galyonkin readily acknowledged that the store needs more work -- for instance, they hope to expand the number of currencies supported -- they also focused on Epic's early successes in trying to disrupt "an industry stronghold" like Steam. "We've brought in close to half a billion dollars so far in gross, and out of that half a billion dollars of gross, 88% of that has gone back to developers," Stelzer said. "So we really believe this is something consumers will get enjoyment out of from the highest quality of games, but at the same time, it's really a great system for developers and a great way for them to see more of the money from their hard work." Update 03/29/19: After the publication of this article, an Epic representative reached out to say that Stelzer was mistaken. However, consumers are not a monolithic group, and a segment of them have most definitely not been enjoying Epic's array of high-profile exclusive games. The backlash against some of these deals has been such that Ismail prefaced his question on how developers could talk to Epic about exclusivity with, "If I was a developer that is OK with staring down the face of the beast..."
"The goal here is not to necessarily exclude anybody," Stelzer said. "But we're building a new platform. We're trying to unseat companies in the space, regardless of who they are. We have to put our name down, and the best way to do that at this point is through these exclusives and to have larger audiences come to us to play those games. It's not a conversation people should be afraid to have. People will have different concerns as to why they have those conversations. The community will be vocal, to say the least, around that. But it's never our intent to keep people away from playing a game." "If you get too sucked into what the mob is saying, then you'll always have some sort of analysis paralysis"
Ismail pursued the line of questioning, asking if Epic sees exclusives as a necessary evil. "If you want to draw a larger audience, you have to have the content people want," Stelzer said. "I don't think it's enough for you to just build a storefront and [believe] that as a result, users will come. Having the Fortnite audience is great, it's a huge audience to draw from. But if we don't have anything to provide for them long-term on the store, then it's hard for us to keep that audience engaged with the store. As a result, I think exclusives are one of the ways we look at of capturing that audience and pulling them away from where they may be buying games otherwise." As for public backlash over the exclusivity deals, the pair downplayed the effect it has had. Stelzer pointed to the launch window sales of Metro Exodus on Epic Games store, repeating a point about how it more than doubled the comparable period sales of the previous Metro game on Steam. "I think if you get too sucked into what the mob is saying, then you'll always have some sort of analysis paralysis," Stelzer said. Galyonkin added that developers should "distinguish between the community and the mob," saying that they are often different people. He noted that Metro Exodus owners were quite happy with their experiences judging by the lack of refund requests. He also said that while the game did well on PlayStation 4 and Xbox One compared to the previous Metro launch on consoles, the title-over-title jump was not as pronounced as it was on PC. Finally, Ismail asked about what independent developers can do to help their chances of passing Epic's curation process. Stelzer's answer suggested they shouldn't be thinking about what Epic wants to see in a game. "You never want to make the game with the target of a platform in mind," Stelzer said. "You want to make the best quality game you can make. Indie developer, AAA, and everything in between, you should always be true to yourself, thinking about the quality of what you're making, and are you staying true to your vision? The cream always rises to the top at the end of the day. If you make a crappy game, then there are places where you can put crappy games." It may have not been the intent, but it's the end result. I really won't install a spyware (the reason it collects the data and whom it sends it to is of no importance as long as it's doing it without my explicit permission) just to get to few games that I'd be able to access in a year or so anyway. Not to mention, the only reason I'd actually use the Epic Store is to get some games actually made by Epic. I don't really care about Fortnite or even Unreal Tournament that much, but something like Epic Pinball 2 or Jazz Jackrabbit 3, maybe even new Jill of the Jungle, would bring me over. It won't be happening anytime soon however, so yeah.